I log on Wednesday afternoon to do a little tradeskilling. 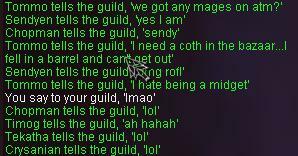 Suddenly I see a cry for help in guildchat. 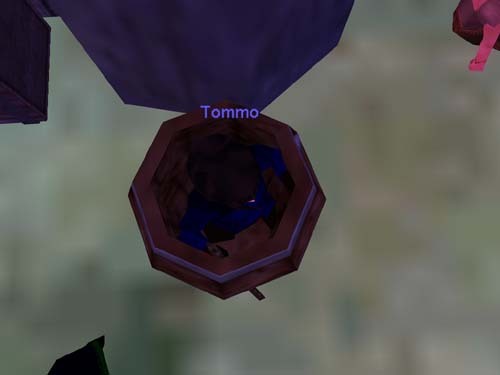 One of our furry friends had managed to get himself into one of the barrels in the bazaar and was unable to get out. One of Eternal Sovereigns great Magicians came to Call of the Hero him out of the barrel only to find that CoTH wasn`t able to be casted in the Bazaar. 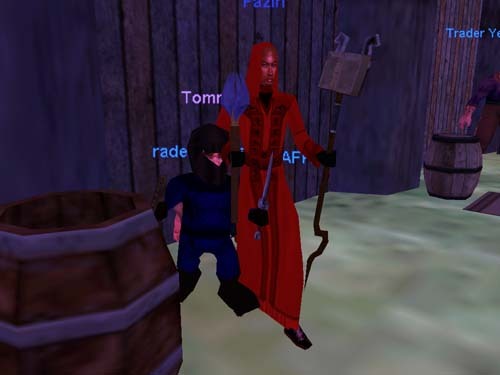 Fazin the wizard hearing all the noise came and translocated Tommo out of the barrel. 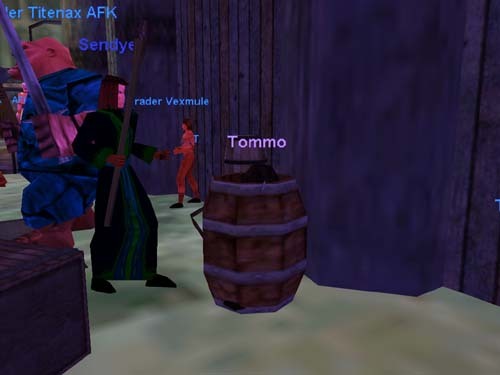 How many ES did it take to get a Halfling out of a barrel? Sounds like a bad joke eh?